A lot of rain falls recently. Rainy season come soon! So, I bought sandals.There is no problem if it gets wet! It is not easy to come off, and dry at once even if it washes. It was affordable by the sale. , 150.000VND. because I thought this is not too lovely the way things are going. This lovely flower decorates usual sandals. Moreover,　It can be easily attached and removed. and if you removed it on the day of rain, you can prevent it from becoming dirty. 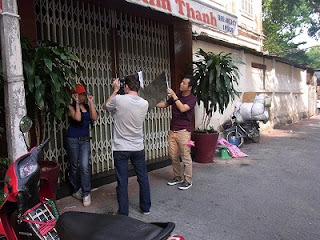 Immediately, I have gone to a Saigon Notre-Dame with the "TUBAME". This church was built in the age when Vietnam was a colony in France. Therefore, it is Gothicism. 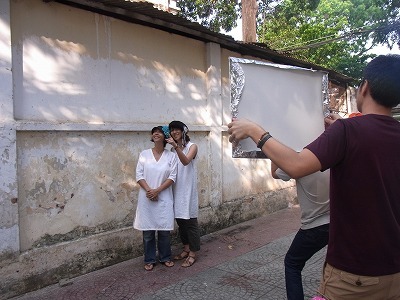 You can see it many times because this is in the heartland of Ho Chi Minh. A right building is Saigon Central Post Office. 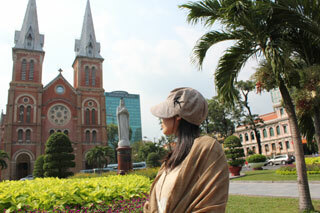 It was built in the same age as Saigon Notre-Dame. So, it is Europe style. This is a style of my travel !! 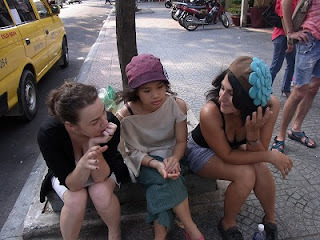 I was marginate and became a stay-over in hot, wonderful Ho Chi Minh. And when I noticed, I have been decided to work that writes the blog. So, I guide the world of shoko ! By the way, my dream is to travel around the world with "TUBAME" hat. Please speak to by all means if you see it ! !